Latest Update: UPSC Combined Defence Services Examination II Admit Card Has Been Released. 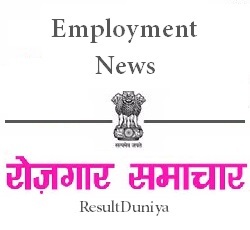 The Union Public Service Commission conducts various competitive examinations for recruitment to various sector jobs.Like every year, this year also the UPSC will conduct UPSC CDS 2 Exam 2015.All those students who have applied for this recruitment are now preparing for this UPSC CDS II Recruitment 2015.The exam is scheduled and will conduct on 1st November 2015.Candidates who have applied for this recruitment can now download the UPSC CDS 2 Admit Card 2015. All the candidates are requested to bring their UPSC CDS 2 Hall Ticket 2015 in each session to secure admission to examination hall. UPSC CDS II Admit Card 2015 has been released.The hall ticket can now be downloaded from www.upsconline.nic.in . Please check your UPSC CDS 2 E-Admit Card carefully and bring the correction,if any,to the Notice Of UPSC immediately. Please read the below given instructions before downloading UPSC Combined Defence Services Examination II 2015 Admit Card. All the candidates are requested to bookmark our website.If you have any problem regarding downloading UPSC CDS 2 Admit Card 2015 Download then please leave a comment in the comment section below.